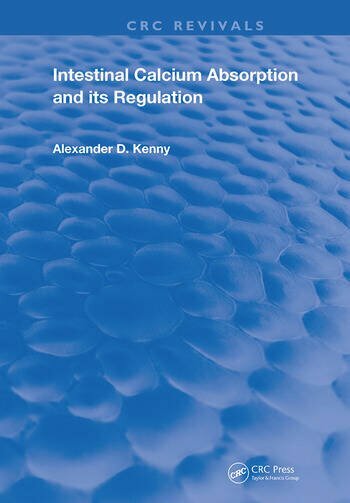 First Published in 1981, this book offers a full, comprehensive guide into the relationship between our Intestines and the way in which we absorb Calcium. Carefully compiled with a vast repertoire of notes, and references this book serves as a useful reference for Students of Medicine, and other practitioners in their respective fields. PART 1. VITAMIN D METABOLISM. 1. Hepatic Metabolism of Vitamin D. 2. Renal Metabolism of Vitamin D. 3. Vitamin D Transport. 4. Regulation of Renal Vitamin D-Endocrine System. PART 2. CALCIUM ABSORPTION. 5. Calcium Transport. 6. Effects of Age on Calcium Absorption. 7. Adaptation to Reproductive States. 8. Adaptation to Calcium Deprivation. 9. Nutritional Aspects of Calcium Absorption. 10. Endocrine Aspects and Calcium Absorption. 11. Pharmacological Aspects of Calcium Absorption. References. Index.